To become a member of LJAG and receive our regular newsletters and other communications about what is going on in Loughborough Junction please sign up to our mailing list. There are lots of ways you can get involved and you can also stay in touch via our Facebook page and our Twitter account @LJAGgers. Our monthly trustees’ meeting is normally held on the first Monday of the month at The Platform in Wyck Gardens in Loughborough Road at 7.30pm. These are open meetings and everyone is welcome to attend and contribute. Green fingers? Volunteer at the Loughborough Farm, our successful food growing project on Loughborough Road. The Farm is open for volunteer growing sessions on Tuesdays and Saturdays from 1pm to 3pm. Contact the Farm Co-ordinator Emily Myers at loughboroughfarm@gmail.com if you need more information. Interested in fundraising? Our monthly fundraising committee is held at The Platform on the first Tuesday of the month at 7pm. Everyone with an interest in fundraising is welcome. Passionate about children’s play? LJAG is helping a group of local people to reopen the Grove Adventure Playground in Gordon Grove. The management committee is held on the third Tuesday of the month at The Platform at 6.30pm and we would particularly like more parents to get involved. Planning is your thing? 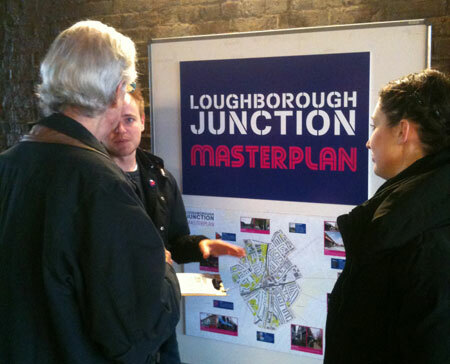 LJAG facilitates the Loughborough Junction Neighbourhood Planning Forum. This meets on the last Wednesday of the month in the Undercroft meeting room in Woolley House on Loughborough Road. Have an idea? LJAG is all about welcoming new ideas so please Tell us about it – email ljactiongroup@gmail.com. Anyone who lives and works in Loughborough Junction can join LJAG with the exception of councillors and council officers who are only eligible to join if they are residents. This is to maintain our independence as a local voice.